ETHER has run the first training workshop in the country specifically dedicated to the development of databases for heritage collections management. 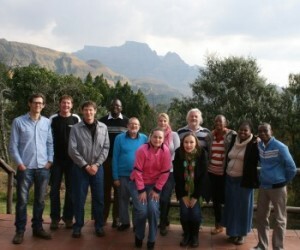 This workshop was led by Roger Layton, and was held at the ETHER Training Centre, in Champagne Castle in the Drakensberg. The workshop was attended by delegates from KZN Museum Services, the Barberton museum, Ditsong, and the University of the Witwatersrand and was held from 20-22 May 2013. The workshop was divided into three distinct sections. On the first day we explored the concepts of database, using general examples of the usage of Microsoft Access in both heritage and in general business situations, and examined how to use Access effectively, and why Access and other databases are different from the basic lists available in Excel and other spreadsheets. On the second day we explored the specific requirements of heritage collections, and their complexity to record a wide range of different catalogue information, as well as to meet international standards such as SPECTRUM, and the ICA standards. On the final day we turned to the specific databases of the delegate organisations and analysed these to see how improvement can be made. 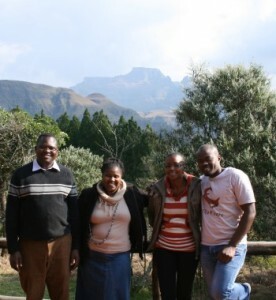 The ETHER Training Centre is a perfect setting for courses, being away from the bustle of city life, and we accommodate and feed the delegates during the entire workshop, with a social braai on the final evening of the workshop. Our experience in running this first course has been that much more is needed, and we will be following up with Intermediate and Advanced Courses on Databases for Heritage in the near future. Should you be interested in attending this course in the future please contact Gladys Rapatsa.